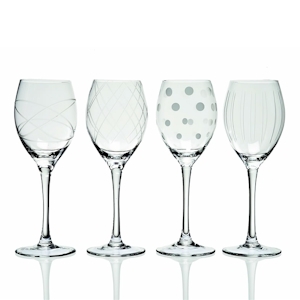 Set of four clear wine glasses, each bowl decorated with a different cut pattern. 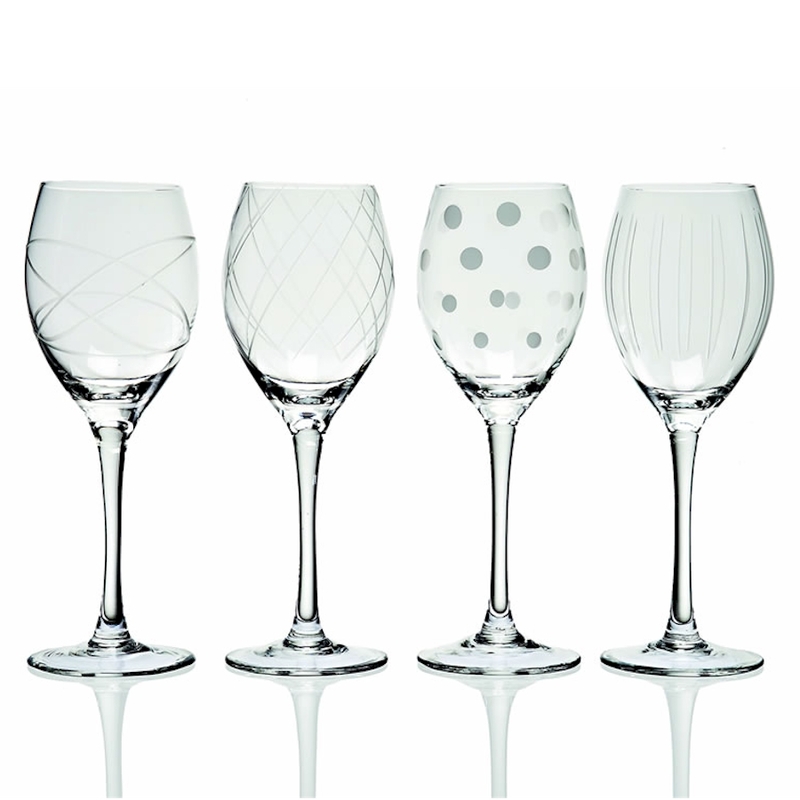 Designed in Ireland, these hand made glasses are individually decorated so that each glass in the set is different. 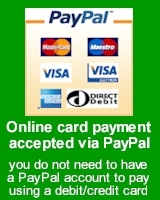 For party occasions these glasses make a fun alternative to machine made plain glass or expensive fine crystal. Supplied in a rigid cardboard gift box. Please remember that very small bubbles or marks are characteristics of hand made glassware such as this.